The absurd is the regular in the world of Wonderland. Normal, regular, everyday things here in the "real" world become crazy and mixed-up. 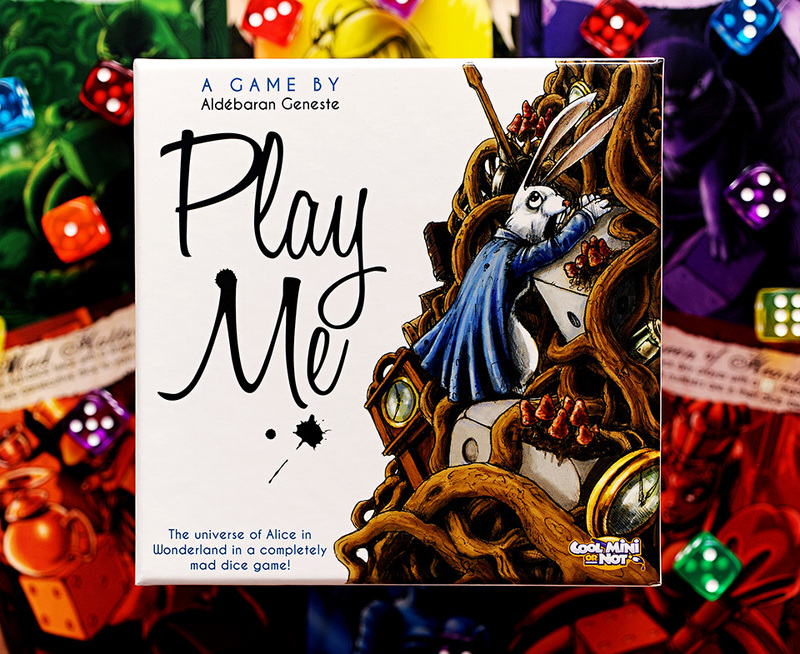 That's just the sort of thing that happens in Play Me, now available from CMON. All you have to do in the game is roll your 6 dice and get numbers 1-6 in order. Simple, right? Not exactly. Players will become one of the different characters of Wonderland. On one side of their card, they get an ability that will help them get the set of dice they need. However, once a player wins a round, their card is flipped to the Madness side. Instead of a help, your ability is now a hindrance to your goal. Everyone has to be careful, though, lest the Jabberwocky show up. Then, the game goes from competitive to cooperative, as you work together to defeat the dreaded monster. It's going mad, but in a good way.